Responding to Program Modifications from Sponsors and Clients (how to avoid scope creep and being in trouble with your boss): Changes are inevitable on all projects. How a project manages changes can make a project successful or cause it to fail. 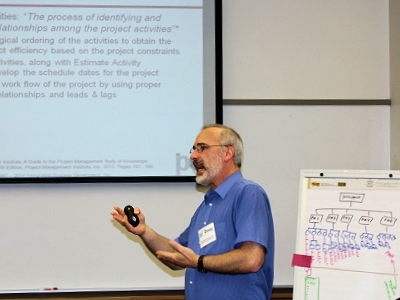 However, the project manager is not the only one involved in the change control process. The project sponsor and organizational executives play a key role in dealing with changes. The decision on how to handle a change is more than just a “simple” project decision, it is a business decision too. Read more information about Douglas’ work as a Keynote Speaker. Recovering Troubled Projects: Outlines the necessary steps to stop the hemorrhaging and get the project back onto the path to success. Building Better Parametric Cost Models: Explores ways to build more predictive parametric cost models to increase your cost estimating accuracy and overall project success.